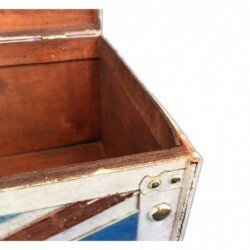 Vintage wooden trunk in white M, measures: 40x20x25 cm. 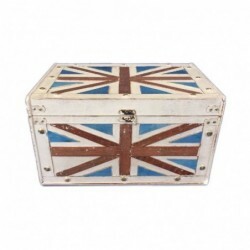 Carved English flag. 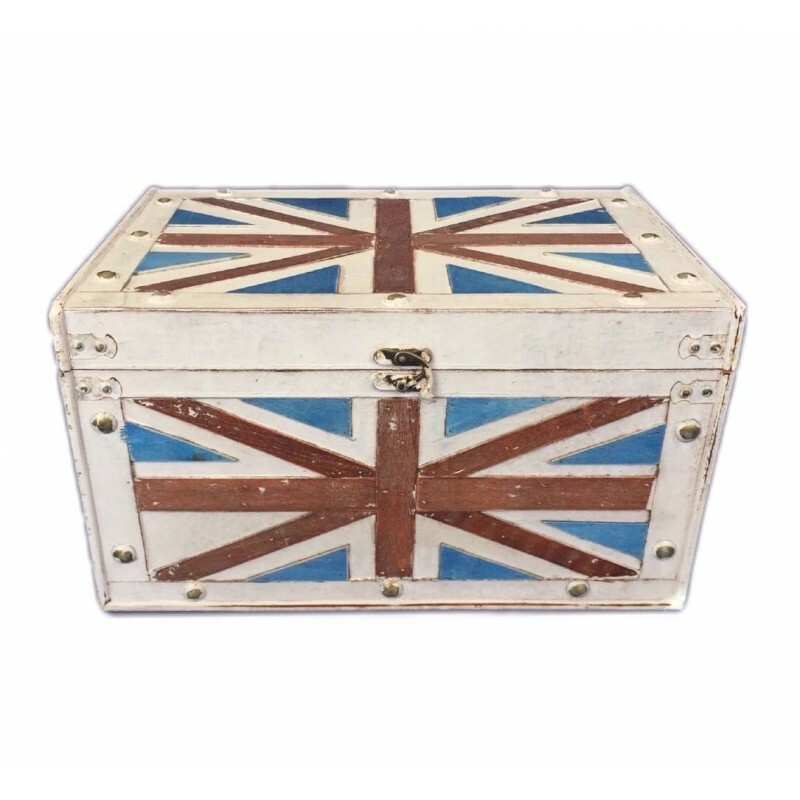 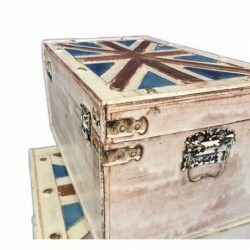 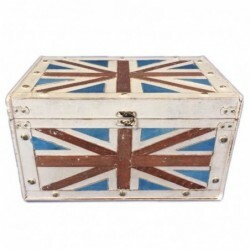 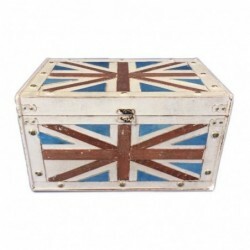 Vintage wooden chest, white retro trunk, with English flag carving, finished with metal details. 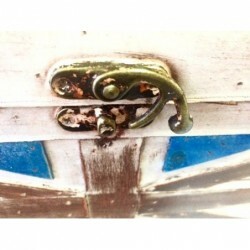 Metal closure. 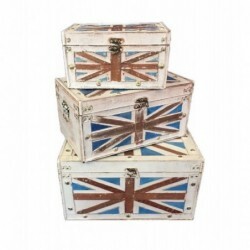 Size M, measures:s 40x20x25 cm.